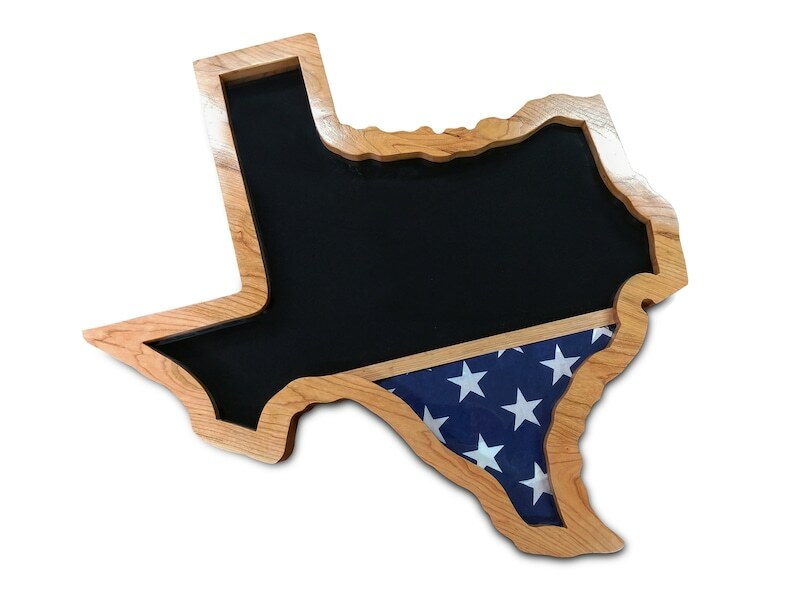 This Texas Military Retirement Shadow Box Display Case measures 28"W x 28"T x 2.5"Deep and is crafted from solid cherry that is lacquered finished to enhance the appearance of the wood for a longer-lasting product. 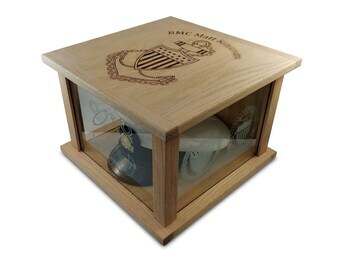 This Texas Military Retirement Shadow Box Display Case features a Plexiglas front panel to showcase your medals and awards. Plexiglas offers better protection against the damaging effects of UV light than regular glass, putting your flag and medals at less risk of degradation. The larger display area is easily accessible through the back so that placement of your items is convenient. It has a double foamed backing for easy pinning of medals and awards.